Bicycles with the Bosch eBike ABS will be available for purchase from au-tumn/winter 2018. 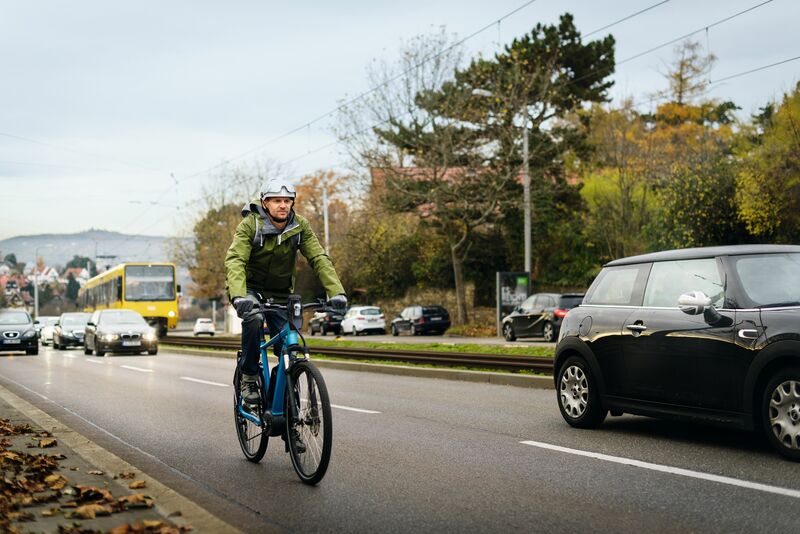 Stuttgart/Reutlingen – The market’s first production-ready anti-lock braking system (ABS) for eBikes will be in service at selected fleet providers starting in spring 2018. The Bosch eBike ABS will be installed by the manufacturers Centurion, Cresta, Flyer, Kalkhoff and Riese & Müller in trekking and city eBikes. The bicycles with Bosch eBike ABS will be equipped with the Performance Line (Cruise and Speed) and the Intuvia display. The bicycle manufacturers Centurion, Cresta, Flyer, Kalkhoff and Riese & Müller will take on a pioneering role and bring the Bosch eBike ABS on the roads. Currently, there are a total of 150 bicycles with Bosch eBike ABS in fleet use on the roads. The pedelecs with ABS will be used as test bikes at selected dealers of Centurion and Cresta, in an event fleet at the Flyer headquarters in Huttwil, in Kalkhoff test fleets with rental stations for tourists, as well as in Riese & Müller experience stores. By participating in the introductory phase, the bicycle manufacturers are calling attention to the potential and safety-related aspects of this new development. At the same time, the introductory phase helps the bicycle manufacturers and Bosch eBike Systems prepare for widespread use of this system. "We are introducing the system step by step. We have been supplying the ABS to bicycle manufacturers since September 2017. They first integrate it into bicycles that go into so-called fleet operation - for example in tourist fleets or rental fleets", Claus Fleischer explains. As a rationale for the two-stage introduction, the CEO of Bosch eBike Systems cites the fact that ABS is completely new for the industry: "We used the time during the winter season to train the manufacturers and dealers. 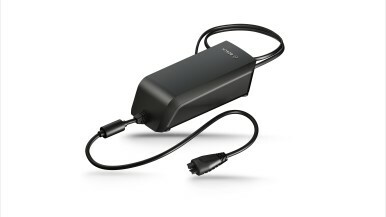 The Bosch eBike ABS will then be available for purchase from autumn/winter 2018". Bosch has developed the ABS for eBikes to increase traffic safety for eBikers and their surroundings. "Braking systems introduced in recent decades have made cycling both easier and safer. Many people think back to the first cable brakes, and then hydraulic and disc brakes. The available braking force has increased significantly. The ABS now adds even better control of this braking force, especially at times when the cyclist must react quickly. It thus brings more stability," as Fleischer states. The eBike ABS reduces the likelihood of the front wheel locking and skidding or the rear wheel lifting from the ground. The braking distance and the risk of rollovers and falls can be reduced in this way. "With front wheel ABS, wheel speed sensors monitor the speed of both wheels. 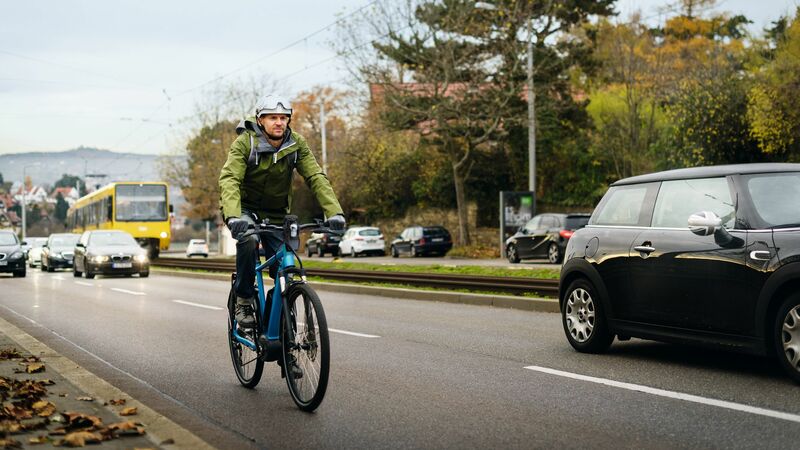 As soon as the front wheel threatens to lock, the Bosch eBike ABS regulates the brake pressure, thus optimising the riding stability and steering capability of the eBike", Fleischer explains. According to a study carried out by Bosch’s Accident Research, the number of pedelec accidents can be reduced by as much as 25 percent if the ABS is used widely. 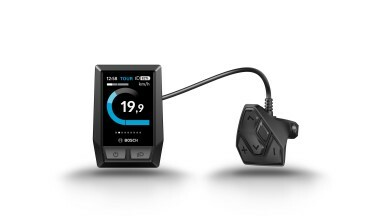 In developing the eBike ABS, Bosch collaborated with its long-standing partner Magura, which has manufactured a special braking system. 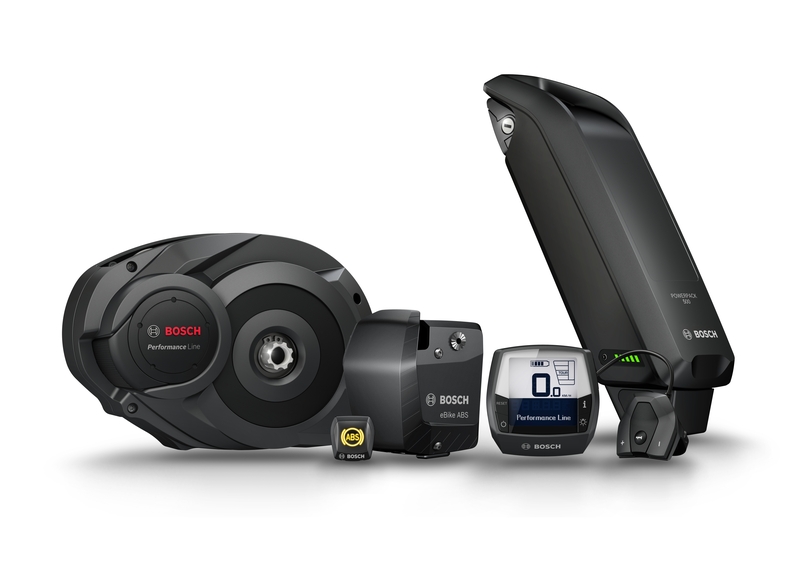 In the 2018/19 model years, the Bosch eBike ABS is only available in this combination. 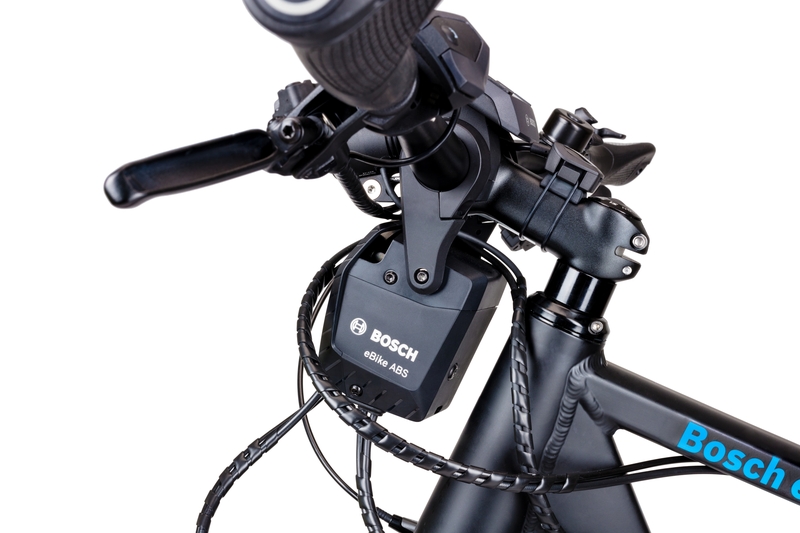 The ABS is compatible with all Bosch product lines; use is primarily geared to trekking and city eBikes with 28-inch wheels. Fleischer is convinced of the potential of the eBike ABS: “The analogies to cars and motorcycles have shown that such systems start out as special equipment in the premium segment and then are mass-produced and become an option in the lower price range, and later on they are required by law, where necessary. I really believe that ABS will be-come standard equipment on high-end pedelecs".